Last modified on September 24th, 2018 by Joe. Android In-App Browser will allow retain the users inside your APP. Which is a critical thing nowadays. Retaining an user and making him stay inside our APP as much as possible without fading away is important. This will boost the engagement metrics. Android platform by default does not provide local browser. When a link is clicked, it opens in the device’s default browser. It make user exit the application. This is the reason why any popular APPs have Android In-App browser built inside. 1. 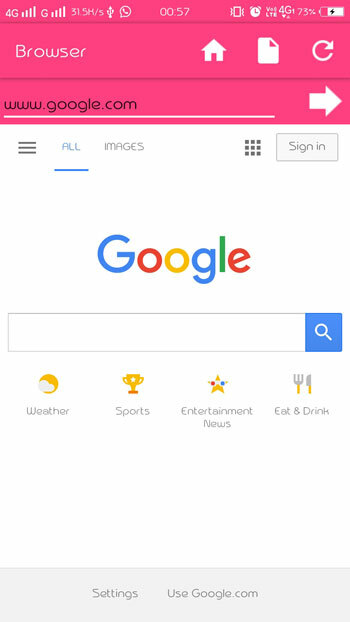 Open any website by typing the URl in the app. 2. Set a home page for our browser. 3. Open a locally saved webpage in our Android App. To build this Android APP, we will use a webview to display webpages. We will make an editText, in which user will enter URL and a button which on click would load the URL. We will make a toolbar which would have three menu items –Home, file(locally saved web page) and refresh. 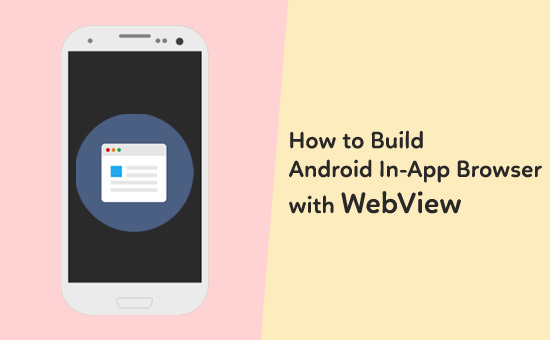 This Android App is kept simple to demonstrate the use of WebView, but you could add other features and . We should add Internet permission in the Android Manifest file. We will create our action bar, so we will remove the default action bar. For this we have to change the app Theme to ‘Theme.AppCompat.Light.DarkActionBar’. Now We will create a menu.xml file in menu directory which holds the content of toolbar. Now we will create a resource file that holds the content of activity main. It has a webview, an editText and a button. I have added toolbar and a progressBar that would show loading of webpages. webviewClient class:- This class manages the the operations in webview. onStart() method – This method load the homepage on start of the application. loadLink() method- loadlink method load the link entered by user in webView. 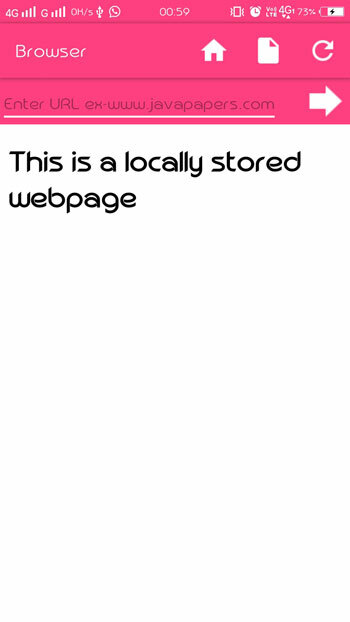 loadLocalpage() method – This method loads the webapage locally saved in app. onDownKey() method – Enables the back navigation, i.e. loads the pervious page.Without it app will close whenever back button is clicked. refresh() and home() methods – refresh will load load the current webpage again and home will direct user to home page. You can set any website as homepage. 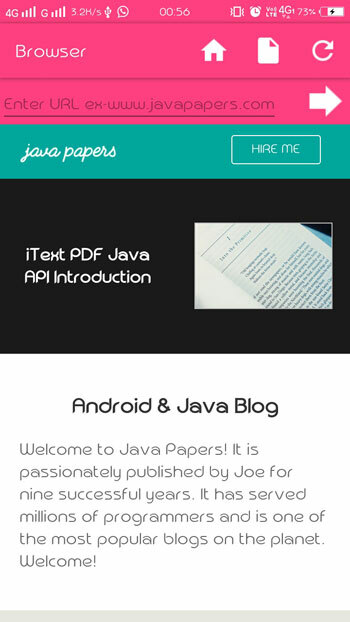 Here i have set www.javapers.com as homepage. Finally our Android In-App Browser using WebView App is ready.